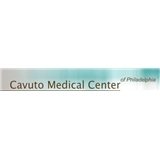 Cavuto Medical Center (Philadelphia) - Book Appointment Online! Dr. Joseph Cavuto Medical Center has been providing quality medical care in South Philadelphia for over 20 years. With a warm and inviting atmosphere, focusing on family medicine the practice provides the highest quality of comprehensive medical care to individuals and families in the Philadelphia region. Dr. Cavuto attended the Philadelphia College of Osteopathic Medicine and graduated in 1986. He was board certified in Family Practice with strengths in Osteopathic Manipulation. As a clinical instructor for 3rd year medical students at Thomas Jefferson University and 2004 Teacher of the year at St. Joseph’s Hospital Family Practice Residency Program, Dr. Cavuto is one of the Philadelphia’s leading health care providers. Dr. Cavuto is so caring and always takes the time to answer any questions and concerns. Although I moved, I would not change doctors. It is worth the extra travel time to see Dr. Cavuto.